It’s not always easy to find a way to help. Nearly every action has good and bad consequences—as people who mowed down non-native plants in mosquito basins found out. By clearing the plants, they helped increase the risk of spreading West Nile Virus. Find out how. The problem with West Nile Virus is it isn’t just spread by bugs, but by birds. European starlings, red-winged blackbirds and common grackles are all “reservoirs” for the virus. They roost in dense vegetation in detention basins—basins next to rivers and lakes, constructed to hold flood waters. The basins are meant to drain, but when they don’t, they contain standing water that soon gets populated with species. The first species to move in are invasive plants, most prominently including cattails and phragmites. Then come the animals, including the birds, which roost in the dense vegetation, and the mosquitos. 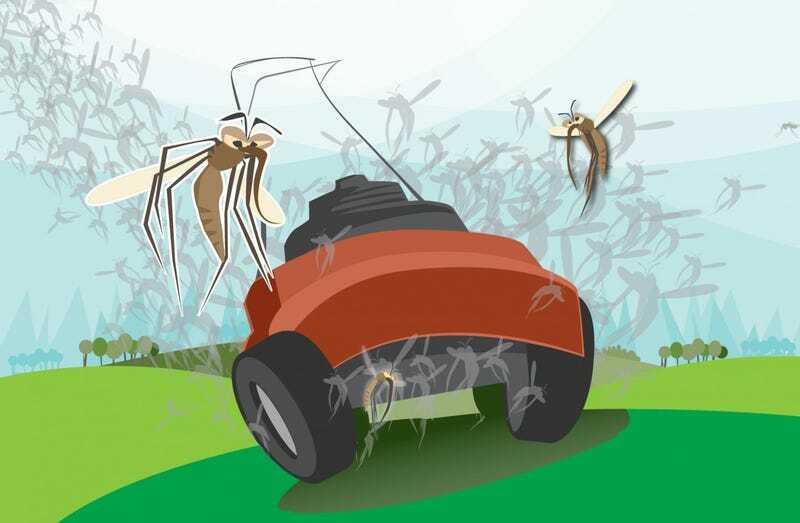 Mosquitos in standing water are nearly unavoidable. Birds which depend on vegetation can be discouraged. This is why a team, led by scientists from the University of Illinois, took a look at detention basins where site managers had mowed down non-native plants, expecting them to be far more healthful than basins where cattails and phragmites were allowed to thrive. What they found was the opposite of what they expected. West Nile Virus infection (of animals) did increase at both sites, because it increases seasonally, but the areas where the non-native plants remained standing had a “lower seasonal increase in vector infection rate.” The mowed sites, on the other hand, not only experienced a relatively higher infection rate but a gigantic boom in the mosquito larvae population. The decaying plant matter fed bacteria, and the bacteria fed mosquito larvae. By mowing the plants, people were feeding the mosquitoes. It’s not the first time that people’s actions resulted in the exact opposite of their intended consequences. This is why studies like this are important. We have to keep checking to make sure that what we intended to happen is what really happens.